Kids dove into the first day of the ZAC Foundation's swim camp at the Boys and Girls Club in the Bridgeport neighborhood on the South Side. CHICAGO (WLS) -- The parents of a boy who died in a swimming pool accident turned the tragedy into a life-saving lesson for others. Kids dove into the first day of the ZAC Foundation's swim camp at the Boys and Girls Club in the Bridgeport neighborhood on the South Side. 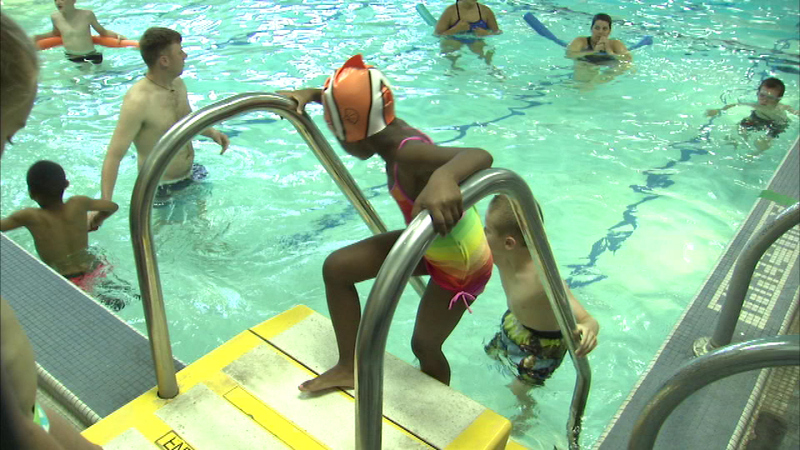 More than 100 children are learning how to swim and stay safe in water. The ZAC Foundation was started by the parents of 6-year-old Zach Cohn, who died when he got trapped in a pool drain.